In this “artfully crafted” (Publishers Weekly) companion to the bestselling The Misfits and Totally Joe, Addie Carle confronts labels, loss, and what it means to grow up. How can I be all that? It’s too many things to be. For Addie Carle, seventh grade means her first real boyfriend, DuShawn, and a chance at popularity. But on the inside, she’s still passionate about her causes—especially tolerance and no name-calling. And she can’t quite put the social stuff ahead of her convictions. Dating DuShawn and being (kind of) part of the “cool” crowd may become casualties of her outspoken idealism. Despite the hurt, Addie comes to realize that she needs to be herself. This powerful verse novel companion to The Misfits and Totally Joe lets readers see inside the surprisingly soft and uncertain soul of perhaps the most outspoken “Gang of Five” member, Addie. 1. 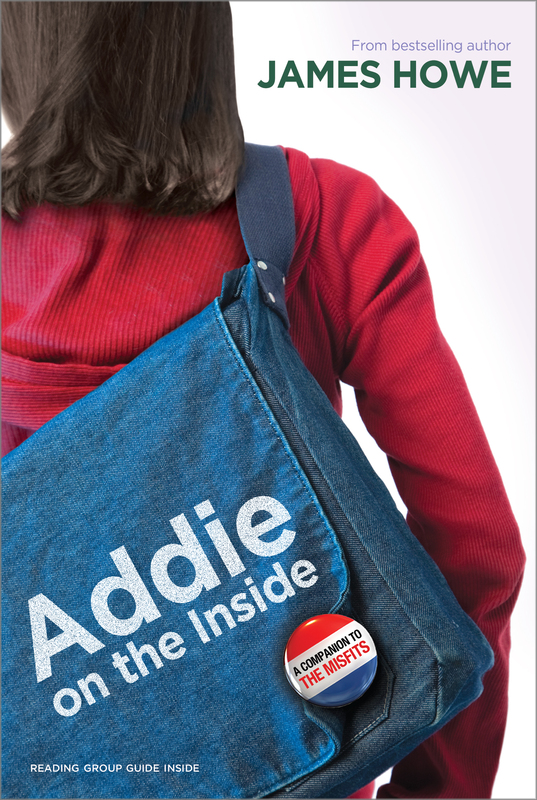 Addie on the Inside is a novel written in verse—a group of poems that, together, tell a story. Have you ever read a verse novel before? Describe what is different about reading a verse novel instead of a traditional prose novel. What does verse lend to Addie’s story? 2. To whom is James Howe addressing the prologue, which begins Addie on the Inside? Why do you think he does this? 3. Who are Addie’s best friends? Why are they her best friends? What characters make Addie’s school days tougher? Why do these characters challenge her? 4. How does Addie describe Becca Wrightsman? In describing Becca in this way, is Addie guilty of being a little bit like her? How are Addie’s feelings about Becca different from her feelings about another popular girl, Tonni? 5. Addie’s family has strong ideas about social justice and environmental stewardship. Does your family have firm convictions about political or social issues? Do these beliefs affect the way you or family members eat, dress, or otherwise behave? Explain your answer. 6. How does having DuShawn as a boyfriend affect Addie’s social status? Describe their relationship. What are the good things? What do they argue about? What does their relationship reveal about how Addie and DuShawn feel about social status? 7. What happens during the GSA meeting to upset Addie and her friends? What do Addie and her friends decide to do to support those whose voices have been silenced? Do you think it is a good plan? Why or why not? 8. The power of words is an important theme in the novel. Describe at least three situations in which the way words are chosen or used has a strong impact on Addie and/or on you, the reader. How do you think the verse novel form helps to highlight this theme? 9. Why is “think before you speak” very good advice? Discuss places in the novel where the outcome might have been different if the character had heeded this advice. 10. There are a number of poems in which Addie makes observations and reflects on several of her teachers and other adults in her life. How does she view these adult figures? How does Addie imagine them to be on the inside or in their private lives versus how she sees them in their public lives? 11. Find several examples in the novel where Addie feels sad about growing up. How are her relationships with her friends and family changing? Do you ever wish you were younger, or that things were simpler? What advice might you give to Addie? 12. Why has Addie’s grandma come to visit? What changes is Grandma experiencing? What happens when Grandma takes Addie to buy clothes? What does this tell you about both of these characters? 13. What happens when Addie tapes her mouth to show solidarity for those who have been silenced? How do her teachers and friends react? How does Addie struggle with her own actions? 14. How does Addie express her grief over the death of her cat, Kennedy? How do Addie and Grandma express their compassion for the lonely remaining cat, Johnson? Have you ever lost a pet? If so, share how it made you feel. 15. Describe Addie’s relationship with her grandmother. Do you have a similar special bond with a grandparent or adult in your life? 16. Why do Addie and DuShawn break up? Do you think that their different races have anything to do with it for Addie? For DuShawn? 17. What does Addie learn about Becca in the final chapters of Addie on the Inside? How does their relationship change? How does this affect the realizations that Addie makes about herself at the end of the story? 18. What kind of person do you think Addie will become? What kind of person do you want to be? 1. 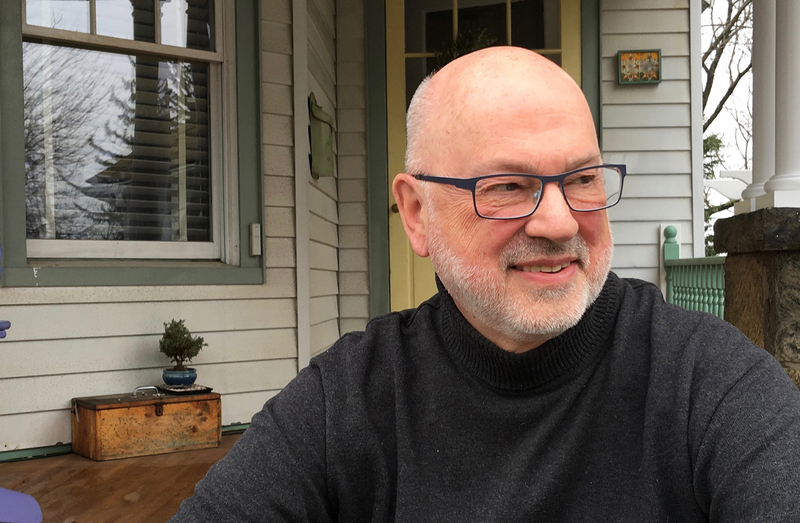 James Howe uses many different types of poetry to shape the story of Addie. Make a list of the different forms, such as haiku, couplets, shaped poems, and list poems. (Hint: The Academy of American Poets offers many resources, including this online list of poetic forms: http://www.poets.org/page.php/prmID/197.) With friends or classmates, discuss the ways in which the different forms are related to the parts of the story they reveal. 2. Choose your favorite poem from the novel. Using either the same title, poetic form, or final line from your chosen poem, write one of your own. 3. Reread the poems “You Are Who They Say You Are” and “Every morning I wake up worrying.” Make your own list of “who they say you are.” You don’t have to share it. Just be sure it is at least fifteen words long. Make a list of things that worry you. You don’t have to share this one either. Just write it down so you can look at it. If possible, share one of your worries with a friend or parent. 4. Grandma is very much a product of her time, including the music and musicians she loves. Ask a grandparent or other adult to list their five favorite musicians or albums. Listen to the music. Write a poem that describes this person, using their musical choices as one way to show their character. 7. In addition to “What If” the author wrote two other poems in Addie’s voice based on real news stories” “What We Don’t Know,” and “TEENAGE GIRLS STAND BY THEIR MAN.” Find a news story to which you have a strong emotional reaction and write a poem about it in your own voice. 8. Create a visual art piece to show your solidarity for those whose voices have been silenced. If desired, combine your work with those of friends or classmates to create an exhibit. What will you name your exhibit? 9. Design a poster, button, or bumper sticker using the final lines of the novel, “I am who I choose to be.” Wear or display it proudly. 10. If you have also read The Misfits, partly written in prose and partly in dialogue like a play, and/or Totally Joe, written as an “alphabiography”, discuss why the author may have chosen to use so many different literary forms to tell these interconnected stories. 11. Write a poem or series of poems about yourself on the inside. Then write a poem in the “inside voice” of someone else. Choose someone who is a challenge for you, someone you don’t quite understand or even like. Try to imagine what it is to be that person and write sympathetically from his or her point of view. If your poem is going to be shared with others, do not choose an actual person. Instead, choose a type of person you find very different from yourself. 12. In a small group, choose several poems from the book—poems you find especially funny or moving or insightful, or to which you respond personally in some way. Find a way to present these poems as reader’s theater. You might also consider turning one of the poems into a song and performing it as a solo piece or with a group.